Gifts from the Pirates: "Autumn is a second spring when every leaf is a flower." Saturday mornings Pumpkin picking session left us still in the picking mood so after lunch we popped out for a spot of conker picking. We've been meaning to go for the last two weeks but just haven't got round to it until today. No body ever seems to go to these Conker trees because of where they are and there was thousands of Conkers everywhere we looked. Mrs M avoided the inevitabe cold hands by finding a pair of Opeie's gloves in the car. Because of all this crazy media scare mongering in regards to the elusive false widow spider (donned the plague of our generation in one article i read. Ridiculous!) 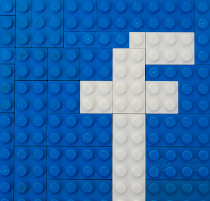 that seems to be taking over every social media platform and the school playground at the moment. 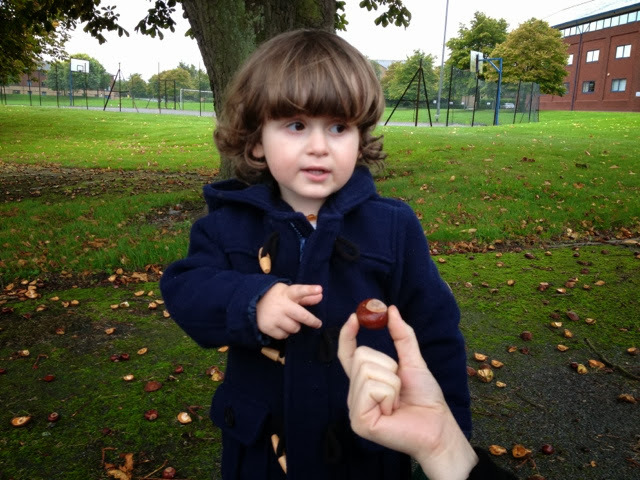 It reminded me of part of why we go conker picking every year. Mrs M and Seth don't like spiders at all, not even when they are in a glass being transported to the back door. Opeie on the other hand will greet the spider ('hello Mr Spider'), introduce himself and kiss the glass before politely saying his goodbye's (that's my boy). Any way, spiders don't like conkers, or so the old wives tale goes, apparently if you place fresh conkers around your house it keeps the arachnids at bay so thats what we generally tend to do in our house. This year though I'd like to also use the leftovers for a craft activity, any ideas? 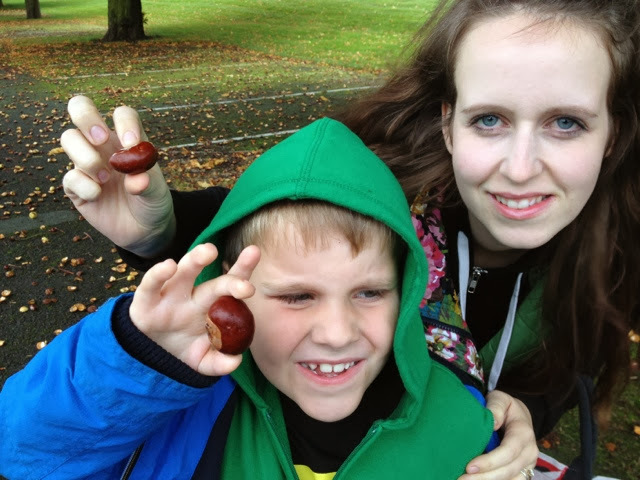 Collecting conkers gave Mrs M the excuse to climb on my shoulders so that we could act like big kids as usual, the boys just look at us like were crazy but i wouldn't have us any other way. As usual I'm loving this time of year again, not so much the rain but autumn is definitely my favourite season. Its got me thinking of us booking a holiday in the future to somewhere we're both desperate to visit, somewhere that is beautiful during autumn. Stay tuned we may actually get there one day. If you look on Red Ted Art there's a good 'conker snake' craft walkthrough.